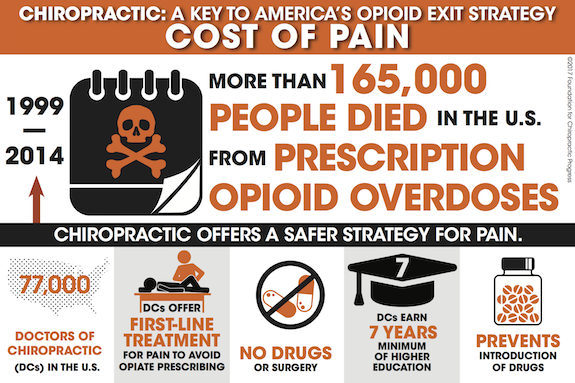 Chiropractic Care: A Key to Solving Our Opioid Crisis? (NewsUSA) - How do we find a way out of today's opioid crisis? Obviously, no one wants tens of thousands of Americans to continue dying each year from the abuse of prescription painkillers. 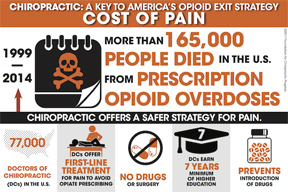 And with more and more physicians heeding the Centers for Disease Control and Prevention's call to use alternative approaches, it's time to understand why chiropractic care is increasingly being viewed as a safer "first-line treatment" for many patients suffering from spine and joint-related pain. Hint: Among other reasons, it's drug-free.